Personality: An extremelly apathetic man he cares for little to nothing except for Kumo. He lives and breathes for the protection and growth of his village. Showing no mercy for any and no remorse for anything that he may do. Extremelly emotionless and strict he gives in for nothing, and nobody. He has no weakness, and therefor seems to be unable to be affected by anything. He is a slightly dark man when it comes to the world outside Kumo, and would do anything to crush the outside world and make Kumo the overruling village of the ninja world. Kensai believes that tough training when it comes to the body and mind is what makes a ninja great, and will be what determines the future of this world. Born long before the creation of the villages Kensai was from a small town filled with his kind. The Zen'in Clan was not widely known, and mainly kept to themselves. Kensai's generation of children however would be the first of his kind to utilize jutsu. There was 3 children born that year, and they would be the first team of ninja within the Zen'in clan, and the last. When Kensai and the other children turned five years of age a man wandered into town, this man claimed he could teach the boys powers that would protect the village from outsiders, and for a small cost and some power would do so. After demonstrating what the villagers though was magic, he explained this was ninjutsu. Kensai was thoroughly amazed, and wanted to learn as much as possible. Through to the age of 15, Kensai trained with this man, but Kensai started to get greedy. He did not feel as though the man was teaching him enough, and longed for more. 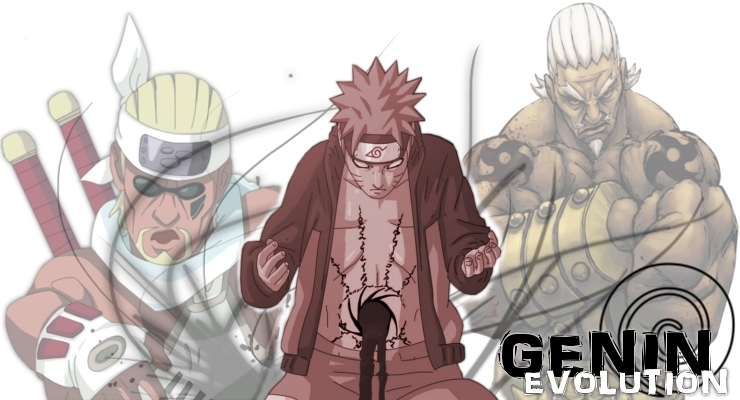 He started to think of how he could utilize what the man called, chakra, into better, stronger and more deadly ways. He did not want to be as weak as his fellow peers, he refused. Late one night, Kensai ran off, in search of a village where he could learn more. From the ages of 15-30 not much is known of Kensai. He traveled the world and spent time with many different cultures and clans. He picked up jutsu from tons of people, and kept his bloodline a secret from all. He never removed his cloak once, and barely even took off his hood. During his travels he met certain ninja that taught him, you must do anything, even if it means abandoning everything, to protect your village and home. They explained this was the true reason ninja trained, to protect. Kensai then realized what he must do, and abandoned all human contact for the next three years. He trained alone, in the forests, marshes, and mountain ranges. He traveled far and wide, fighting travelers and bandits when the chance came. He then started to slowly lose emotion. Before he knew it he had none whatsoever, he only had his on drive. To find something worth protecting, and do so. Around fourty four he went back home, and found the old man who had taken control of the village. The old man simply trained these people to be his bodyguards as he lived off them. This was unacceptable to Kensai, so he attacked the man. However when his own people attacked Kensai, he had to fight them all. Kensai almost died in that battle due to being outnumbered, but he survived, and did not kill one member of his clan. He simply left them unconcious, and killed the man that was responsable for this. Before any woke up Kensai left, and searhed for a new home. The Zen'in clan would never again be heard from in history, hiding their village and never allowing outside contact. Any that came near, was forced to stay within or die. As the years went by, Kensei found a home within the Hidden Cloud Village, and realized he must bring in help of a much stronger nature. So within the past 16 years he has kidnapped certain individuals, and brought them to his new home, Kumo. These three young boys would be the first great guardians of Kumo, and the most feared fighters in the land, he would make sure of this. As they exelled through the academy, Kensai pulled strings to make himself their jounin sensei. He simply calls them, the Sendo Buntai. Nicknamed Toshu for the fact he seemingly does jutsu without utilizing his hands. 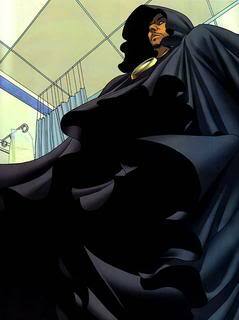 Wears a large cloak at all times to conceal the other four arms/hands giving him an unknown advantage in combat. He also has studied every available jutsu to his abilities and is a widely known ninja for his outstanding and unknown abilities. Arijigoku - Inescapable Hell: Doton • Arijigoku is a Ninjutsu technique utilizing the Earth Element. After forming the needed hand seal, he will create a conical crater below his opponent. This twisting, sinking pit will pull the target below ground to imprison and suffocate them. Baku Suishouha - Bursting Water Collision Waves: Suiton • Baku Suishouha is a Ninjutsu technique utilizing the Water Element. After forming the needed handseals, he will expel water from his gullet. This will then expand into a large volume of water. Daibakuryuu no Jutsu - Great Exploding Current Technique: Suiton • Daibakuryuu no Jutsu is a Ninjutsu technique utilizing the Water Element. After doing the needed hand seals a vortex of water will form, sucking anything on the surface above it down to the depths below. Dai Endan - Great Fireball: Dai Endan is a Ninjutsu technique utilizing the Fire element. He will first gather the fire into his mouth and then spew a giant breath of fire constantly at his opponent. Doro Gaeshi - Mud Overturn: Doton • Doro Gaeshi is a defensive Ninjutsu technique utilizing the Earth Element. After striking the ground with their hands, a large wall of earth will rise into place as defense. The defense is not perfect though, a hard or drilling impact can puncture the wall. Doryuu Heki - Earth Style Wall: Doton • Doryuu Heki is a defensive Ninjutsu technique utilizing the Earth Element. The ninja will do the necessary hand seals and then spew a line of mud onto the ground. The mud will then grow into a large mud wall to help defend against incoming attack. Doryuu Jouheki - Earth Style Rampart: Doton • Doryuu Jouheki is a Ninjutsu technique utilizing the Earth Element. The ninja will do the necessary hand seals. Then a large earthen wall will erupt from the ground. Doryuusou - Earthen Rising Spears: Doton • Doryuusou no Jutsu is a Ninjutsu technique utilizing the Earth Element. After forming the needed hand seals, spears of stone will raise from the ground to pierce the target. Doryuu Taiga - Earth Flow River: Doton • Doryuu Taiga is a Ninjutsu technique utilizing the Earth Element. The ninja will do the necessary hand seals and transform the ground upon which the enemy stands into a river of mud. Endan - Fireball: Katon • Endan is a Ninjutsu technique utilizing the Fire Element. This jutsu allows him to emit a jet of fire from his mouth. Ganchuurou no Jutsu - Rock Pillar Prison Technique: Doton • Ganchuurou is a Ninjutsu technique utilzing the Earth Element. After forming the needed hand seals, he will generate pillars of rock which will rise from the ground around his target. These pillars will act as prison bars to contain his opponent. Ganchuusou - Rock Pillar Spears: Doton • Ganchuusou is a Ninjutsu technique utilzing the Earth Element. With this technique, he can generate spears of rock which can rise up and impale his target. Gansetsukon - Rock Spear: Doton • Gansetsukon is a Ninjutsu technique utilzing the Earth Element. This jutsu allows him to break up nearby stone and shape it into rock spears. These spears can then be launched at his opponent. Goukakyuu no Jutsu - Great Fireball Technique: Katon • Goukakyuu no Jutsu is a Ninjutsu technique utilizing the Fire Element. The ninja does the necessary hand seals, draws chakra from their mouth into their chest and them immediately exhales it. They then blow a stream of fire which erupts into a large sphere of flames. To better manage the flames the ninja will bring their hand to their mouth to control it. Gouryuuka no Jutsu - Great Dragon Fire Technique: Katon • Gouryuuka no Jutsu is a Ninjutsu technique utilizing the Fire Element. After forming the needed hand seals, the ninja will expel dragon head fireballs at their opponent. These powerful fireballs can punch through concrete. Haran Banshou - Stormy Upheaval: Suiton • Haran Banshou is a Ninjutsu technique utilzing the Water Element. After forming the needed hand seals, he will create a waterfall to slam into his opponent. Housenka no Jutsu - Mythical Fire Phoenix Technique: Katon • Housenka no Jutsu is a Ninjutsu technique utilizing the Fire Element. The ninja does the necessary hand seals and then emits a series of small fire balls. The ninja can also hurl a projectile which is covered in these same flames. To the opponent the attack appears to be only the balls of flame, they do not see the hidden threat within the flames. Meaning that even if the flames are put out, the projectiles still converge on the target. The flames can be used to cover different projectiles like shuriken or kunai. Iwagakure no Jutsu - Rock Hiding Technique: Doton • Iwagakure is a Ninjutsu technique utilzing the Earth Element. This jutsu allows the user to change their appearance by blending and merging with the surrounding rock. This allows the ninja to move unseen, which assists in attack and escape. Karyuudan - Fire Dragon Projectile: Katon • Karyuudan is a Ninjutsu technique utilizing the Fire Element. The ninja will do the necessary hand seals and create mud projectiles using the Doryuudan technique. The ninja will then blow a large flame to ignite the mud projectiles. Karyuu Endan - Fire Dragon Flame Projectile: Katon • Karyuu Endan is a Ninjutsu technique utilizing the Fire Element. The ninja does a string of hand seals and the proceeds to blow a large jet of fire from their mouth. Mizu Bunshin no Jutsu - Water Clone Technique: Mizu Bunshin no Jutsu is a Ninjutsu technique that utilizes water to create a Bunshin clone. Unlike a normal Bunshin, the Mizu Bunshin has the ability to interact more with the environment due to it having physical substance. This allows the clone to carry out limited attacks on its target. The range of the clone is limited however, it can not travel very far from the original body. If the Mizu Bunshin is injured, the clone will usually revert back into its natural water state. Mizu no Tatsumaki - Tornado of Water: Mizu no Tatsumaki is a Ninjutsu technique that utilizes water to create a spinning water vortex around the ninja. The water acts both as a barrier and attack mechanism. The power of the vortex is enough to knock an opponent unconscious. Mizurappa - Violent Water Wave: Suiton • Mizurappa is a Ninjutsu technique utilizing the Water Element. After forming the needed handseals he will expel a strong jet of water at his opponent. Moguragakure no Jutsu - Mole Hiding Technique: Doton • Moguragakure no Jutsu is a Ninjutsu technique utilizing the Earth Element. This technique allows the ninja to burrow into the ground and hide out of sight. This allows them to avoid attack or travel underground. Ryuuka no Jutsu - Dragon Fire Technique: Katon • Ryuuka no Jutsu is a Ninjutsu technique utilizing the Fire Element. After binding the opponent, the ninja uses a guide wire to unleash a large torrential fire burst onto the target. Suigadan - Water Fang Projectile: Suiton • Suigadan is a Ninjutsu technique utilizing the Water Element. The ninja does a string of hand seals to cause a nearby body of water to form a spinning drill. Suihashu - Water Wave Hand: Suiton • Suihashu is a Ninjutsu technique utilizing the Water Element. He will raise his hand into the air and emit a continuous jet of water to disrupt his opponent's attacks. Due to the nature of water, this attack works especially well against smoke based jutsu. Suijinheki - Water Encampment Wall: Suiton • Suijinheki is a Ninjutsu technique utilizing the Water Element. The ninja will first do a string of hand seals and then proceed to blow out a jet of water from their mouth to act as a water barrier from incoming attack. Suikoudan no Jutsu - Water Shark Projectile Technique: Suiton • Suikoudan no Jutsu is a Ninjutsu technique utilizing the Water Element. The ninja does a string of hand seals which then causes a column of water to rise from the water and then strike their target. Suiryuudan no Jutsu - Water Dragon Projectile Technique: Suiton • Suiryuudan no Jutsu is a Ninjutsu technique utilizing the Water Element. The ninja does a long string of hand seals which then causes a column of water in the form of a dragon to rise from the water and then strike their target. Suishouha - Water Collision Destruction: Suiton • Suishouha is a Ninjutsu technique utilizing the Water Element. He does a string of hand seals which then causes a large volume of water to materialize out of nowhere. The water can then be directed at his target. Takitsubo no Jutsu - Waterfall Basin Technique: Suiton • Takitsubo no Jutsu is a Ninjutsu technique utilizing the Water Element. The ninja will do the necessary hand seals to create a large volume of water. Yomi Numa - Swamp of the Underworld: Doton • Yomi Numa is a Ninjutsu technique used by the Sannin Jiraiya utilizing the Earth element. After forming the needed handseals, a vast swamp can appear beneath his target to sink and kill it. Zen'in - All Hands: The bloodline which Kensai was born with. This bloodline has no true abilities, however it gives him the physical difference of being born with six arms instead of two. Being able to utilize six arms/hands gives him a great advantage in combat when it comes to utilizing jutsu, and is also usually a suprise to his foes and even allies as he keeps them hidden at all times as to never give his secret away.